Afro-IP was alerted by Nola Bond to a recent decision of the Cape High Court in favour of Crocs Inc (“Crocs”) and others defending an appeal brought by Shoprite Checkers against a counterfeit goods seizure in South Africa. Shoprite Checkers is a large retail chain operating throughout South Africa. 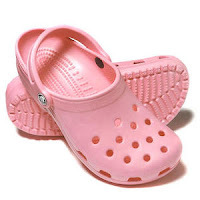 Crocs successfully seized over 10000 pairs of footwear destined for Shoprite Checkers’ stores early in 2007. Shoprite Checkers sought to set aside the warrant and subsequent seizure on the grounds including that the seized goods were not counterfeit goods. Crocs seized the goods on the basis that they were a reproduction or an adaptation of their design/drawings of the famously ugly and successful, strapless shoe. One of the grounds raised by Shoprite Checkers’ Counsel was that the exception set out in S15(3)(a) of the Counterfeit Goods Act applied, namely that copyright in an artistic work of which three dimensional reproductions were made to the public with the consent of the copyright owner is not infringed if any person, without the consent of the owner reverse engineers the work, provided the work has a utilitarian purpose and it is made by an industrial process. Judge Zondi found that Shoprite Checkers had not shown that the confiscated version of the shoe was reproduced from an authorised reproduction. The Court held that the Shoprite Checkers was not entitled to make three dimensional copies by reference to the drawings. It also held that the Magistrate had correctly issued the warrant. Consequently, Shoprite Checkers’ appeal failed. 3. That Shoprite Checkers was so confident of their position that they sought an indemnity cost order.